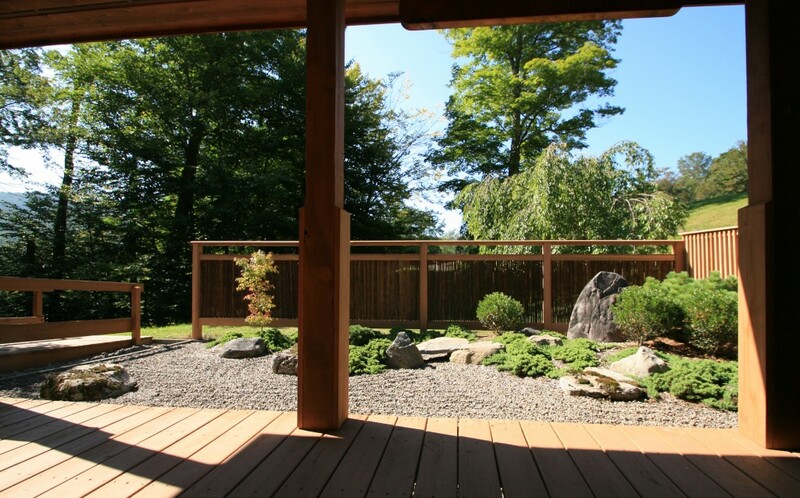 Japanese Dry Garden at Friendship House, a culture sharing facility in Frost Valley YMCA. 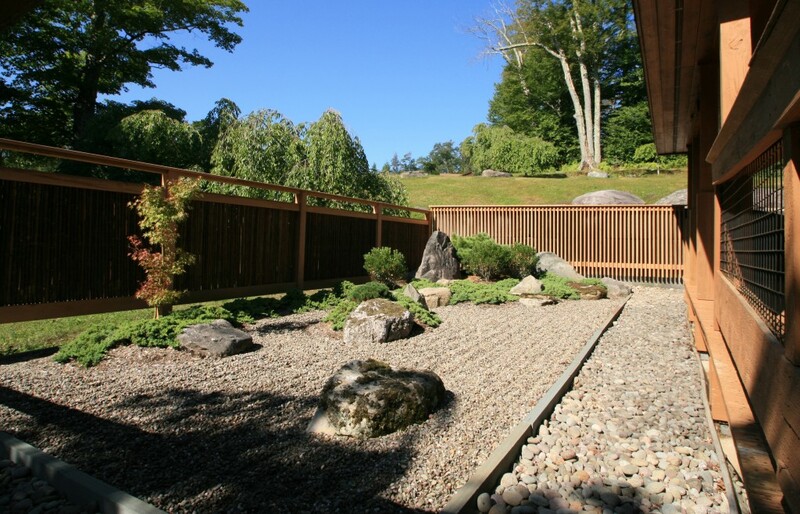 The gravel surface with waves made by raking represents ocean. A small green mound, as if a small island floats in the middle of the abstract ocean, is connected by a stone bridge to a large green mound with standing boulders. Metaphorically, the small island represents Japan, the large green mound represents the United States, and the stone bridge represents Friendship House. The garden was named “Garden of Bridge” to celebrate the 30 year’s partnership between Frost Valley YMCA and Tokyo YMCA.